April 17, 2019 — Through its Fair Housing Initiatives Program, the U.S. Department of Housing and Urban Development (HUD) has awarded a $125,000 education & outreach grant to the Miami Valley Fair Housing Center (MVFHC). This grant will allow MVFHC to conduct educational and outreach programs through forums including government centers, schools, churches, and professional organizations such as the Greater Dayton Apartment Association and the Dayton Realtors®. In addition, HUD also announced the funding of a 3-year private enforcement grant. The enforcement grant awarded to MVFHC is one of twenty-four awarded to FHIP agencies that are high performers and will receive multi-year funding. Multi-year funding allows groups that maintain excellent performance ratings to continue their activities without interruption. The grant to MVFHC is for $300,000 per year for three years, for a total of $900,000 and will enable MVFHC to implement comprehensive enforcement services, including complaint intake, investigation, and referral for alleged victims of discrimination. The entire news release can be viewed here. MVFHC and the Montgomery County Office of Reentry’s Policy Board Housing Subcommittee invite you to a free workshop on Tuesday, May 21, 2019, for service providers, social workers, and landlords about tools to better house at-risk populations in Dayton and surrounding areas. Visit the registration page to learn about the workshop and see the agenda. Eligible participants can receive 2.0 elective hours of CE from the Ohio Division of Real Estate or 2.5 clock hours from the State of Ohio Counselor, Social Worker, and Marriage and Family Therapist Board. The workshop is from 10:00 a.m. to 1:30 p.m. Register today at www.mvfairhousing.com/housing2019. Download our Spring newsletter! The latest edition of the Miami Valley Fair Housing Center’s newsletter is now available to download. The newsletter has information about our Fair Housing Month workshop and luncheon, reasonable accommodations and the screening process, and welcoming people with a criminal history. To receive new editions of the newsletter via e-mail, become a MVFHC member. MVFHC is at 505 Riverside Drive. If you shop at Amazon.com, did you know that by shopping instead at smile.amazon.com you can direct 0.5% of the price of eligible purchases to the charity of your choice? MVFHC is an eligible charity, and we’d appreciate your support. Designate MVFHC as your Amazon Smile charity today. Copies of special reports such as Analyses of Impediments to Fair Housing Choice released by local jurisdictions as well as other reports done by MVFHC on zoning and predatory lending are available on the reports page. The Home Ownership Center is a non-profit organization that empowers local residents to achieve and sustain homeownership and financial success. They’ve helped thousands of individuals and families meet their homeownership goals through a variety of services offered at low or no cost. You can reach the HomeOwnership Center at 937-853-1600. In conjunction with the Greater Dayton Apartment Association, MVFHC is offering one-hour fair housing webinars on the second Wednesday of every other month in 2018 (odd months). For more information, visit our GDAA webinar page. Fair Housing Accessibility FIRST is an initiative sponsored by the U.S. Department of Housing and Urban Development (HUD) that promotes compliance with the Fair Housing Act design and construction requirements. Visit www.fairhousingfirst.org for instruction programs and useful online resources. Although MVFHC does not provide assistance with landlord/tenant issues unrelated to discrimination, the booklet Your Rights and Duties as a Tenant, presented by Advocates for Basic Legal Equality, Inc. and Legal Aid of Western Ohio, Inc., is a useful resource. 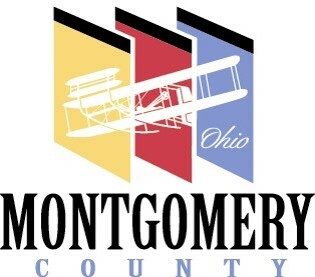 Also, if you are a landlord or a tenant wanting information on your rights and duties under Ohio law, the Dayton-Montgomery County Ombudsman's Office has a page about landlord/tenant issues. A booklet outlining your rights and responsibilities when renting mobile homes or lots in mobile home parks is available on the Ohio Legal Services website. Guidelines on the usage of the "Equal Housing Opportunity" logo and slogan are available online in the Services/Reference section. A word and phrase list intended as a guideline to assist in complying with state and federal fair housing laws is available online in the Services/Reference section. Fair Housing Posters suitable for printing and displaying in your lobby or office are available to download from the Division of Real Estate of Ohio’s Department of Commerce and from the federal Department of Housing and Urban Development (both require Adobe Acrobat). Have questions about what your rights or responsibilities are under the federal Fair Housing Act for persons with disabilities? Now available online in the Services/Reference section are joint statements from the Department of Justice and the Department of Housing and Urban Development that explain reasonable modifications and accommodations. A Service Animal Policy is now available available online in the Services/Reference section. The policy explains what service animals are and how they are a reasonable accommodation under the Federal Fair Housing Act and also provides practice guidelines for housing providers and for tenants. Energy Star is a joint program of the U.S. Environmental Protection Agency and the U.S. Department of Energy helping us all save money and protect the environment through energy efficient products and practices. To learn how you can save money in your home, visit www.energystar.gov.